When it comes to tourist attractions, Indonesia has unlimited options. As for reference, there is Jakarta Special Region. This is the capital of the nation and it has lots of valuable tourist spots to which travelers can go to. One of them is called Sunda Kelapa Port, which resides in Old City area (Kota Tua Jakarta). Such old port has been there from 1500, in fact. It became a prime access among foreign merchant ships, coming from India, Japan, Chinese, and the Middle East. Due to such history, the port attracts both domestic and foreign tourists these days. This explains why the port would be crowded in the afternoon and weekends. In terms of size, the width of the port is about 760 hectares. It only the land part of the port, though. When it comes to the whole size (including water area), it is about 16,470 hectares. 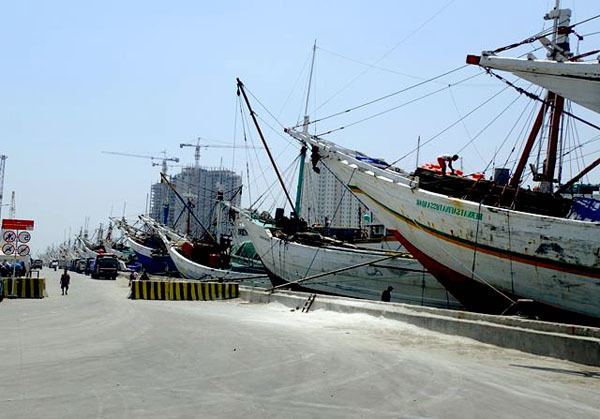 The fact is that Sunda Kelapa Port consists of two harbors, which are the primary and Kalibaru Port. The main port can accommodate about 70 speedboats, while Kalibaru can only take about 65 boats. What about the nuance? Well, many types of boats make the area attractive and vintage. Not to mention visitors can feel comfortable breezy wind there. Visiting Sunda Kelapa Port is worth a thousand experiences. It is because tourists have many fun activities to do there. For example, it is a simple as getting on a fisherman’s boat and get around the water. Here is the thing. Not all the boats are available to ride on, so visitors must talk to the owners prior to getting on it. Plus, it costs a small amount of money to experience such fun activity. The fishermen would tell tourists regarding the best route to explore, after all. That means they don’t need to worry about getting overwhelmed by big boats. The next activity is sightseeing. Sunda Kelapa Port offers stunning sea scenery and mesmerizing objects that surround the location. Even the wooden boats look quite majestic there. This explains why tourists should carry a camera when visiting the port. The best object to capture is definitely Pinisi boat that comes with different cultural styles. No wonder, the shape of the boat is unique and worth a photo shoot. Another idea is to capture a busy activity of the port, including docking and stevedoring. The people work passionately, even during hot weather. What’s next? Some visitors are interested in visiting the port for witnessing the charming sunset. That means they come in the afternoon and find some best spot to enjoy such romantic view. At the time, the sun would be disappearing in the horizon and some silhouettes of the boats appear beautifully in the location. Somehow, Sunda Kelapa Port becomes a dreamy spot for couples! For those living outside Jakarta, the fastest transportation option is an airplane. In this case, the prime destination is Soekarno-Hatta Airport. From there, it is time to take a local transportation service to Jakarta’s Old Town, where the port resides.